Amen: Did I invite you into my country? Spreading democracy at gunpoint and drive my people crazy. Elsa: It's still better than selling a 12-year old child. I am not going to watch this movie again. Why? Because there was few moments in the movie where it felt real. Although some of the actors like the female reporter did a good job of acting, the surroundings didn't seem to be following. The action part looked like any other with the bad guys falling like flies and the good guys standing exposed to the bullets and nothing hitting them. The bad guys resembled zombies and just walked towards the bullets to die as soon as they could. Whenever any of the good guys were hit, everybody cried and screamed like it was the end of the world and they had a lot of time mourning right in the middle of sustained shootings. But the bad guys didn't care dying and as mentioned fell like flies to the ground. The chase scene also didn't look real. While the heroes had to pass high altitude in extremely cold and snow storm, the bad guys suddenly appeared and surprised them. Unlike the heroes, they had little clothing and no sign of wear and exhaustion. 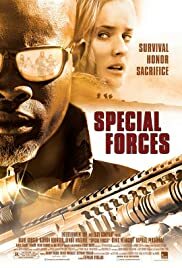 This movie could be a lot better if the action scene were a bit more realistic and the bad guys had more character and looked smarter. Other stuff that I didn't like was the fact that these guys where not found although the military had hundreds of ways of finding them. 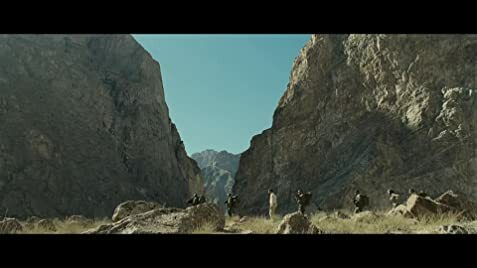 They didn't search for them and these guys had nothing electronic to send a signal back to base although they had everything else imaginable like infinite number of bullets to shoot during their journey. Sometimes in the movie you could see that they had used ideas from other movies to make it more dramatic. You can of course watch this movie but don't be afraid to get disappointed. 47 of 80 people found this review helpful. Was this review helpful to you?